The most important advantage of innovative technology is that it has made our lives more efficient and accurate. These advantages are not only for the individuals as the offices, shops and commercial activities are also benefiting the efficiencies provided by the technology. It is very important to mention that the innovative technologies have made the lives easier of the business owners and higher managements of the organizations in such a way that every system has been shifted to the computer. There are ERP systems and solutions like Sage 300 UAE, SAP Business One, Sage 50 ME and HR and Payroll solutions which are helping the businesses to maintain the official records, transactions and operations properly and accurately. In the following lines, we are discussing the value of HR software in UAE so the question arises, how HR technology is going to affect the performance and efficiency of the individuals but also the companies. The reality is that HR software helps the organizations in saving the time and facilitating the employees to perform excellently for maintaining the office decorum. The advantages of HR software in the UAE are numerous, but the major thing which is appreciated is that it provided healthcare benefits, socialization through developing relationships and focusing on the important tasks efficiently. Another major benefit which is directly related to this software is that they can be able to enjoy work-life balance through which they can be able to streamline his life, work according to your business requirements. The modern management wants to integrate every technology with their employees in such a way through which they are able to enjoy their lives as well in the hectic working conditions. For making them effective and efficient, some following tips are required to implement in the organizations through HR Software in UAE, which have been implemented by many HR software providers like BTC. The companies like BTC encourages the organizations to take their employees to the social channels where they can share their feelings, thoughts, interests, pictures and memories so through this activity, they will feel relaxed and get it personally. This will also help you to explore the creativity available to the employees and you can get better results through the engagement of the individuals with you. It is quite a difficult job to implement the PTO policy as it affects the performances of the employees. Overworked employees can be the burden for the companies so there is a need of great appreciation if they are working hard and provide them the opportunity to utilize their holidays with maximum comfort. HR software in UAE helps you to streamline the paid time offs of the employees and the process of giving leaves becomes easier and smoother. They can enjoy it by just clicking a button and the approval process can be completed within minutes. Performance management tools are very effective in defining the goals of the organizations. One of the best practices which have been adopted internationally for motivating the employees is that to allow them to define their own goals as well along with organizational goals. This activity not only helps them to encourage themselves for achieving their own goals, but it will also help you to engage them in the conversations which will ultimately help the organization in achieving the organizational goals and objectives as well. HR software in the UAE also helps you as a business owner, HR professional and senior management to make sure that every task is being completed within time and according to the requirements of the organizations. Due to this process, you also have the opportunity to develop personal relationships with the employees which will encourage them to work hard for the organization. To take care the employees should be the basic aim of the higher management and directors as if they are worried about their domestic problems like future planning, house rent, health care expenses and transportation issues, etc. they will not be able to work efficiently for you. Using HR software in UAE helps you to implement insurance, healthcare and educational loans properly through which you can implement your policies as well and achieve organizational goals within the specific time. HR software in UAE provided to you by the companies like BTC makes your life easier as you can access the system from anywhere in the world. 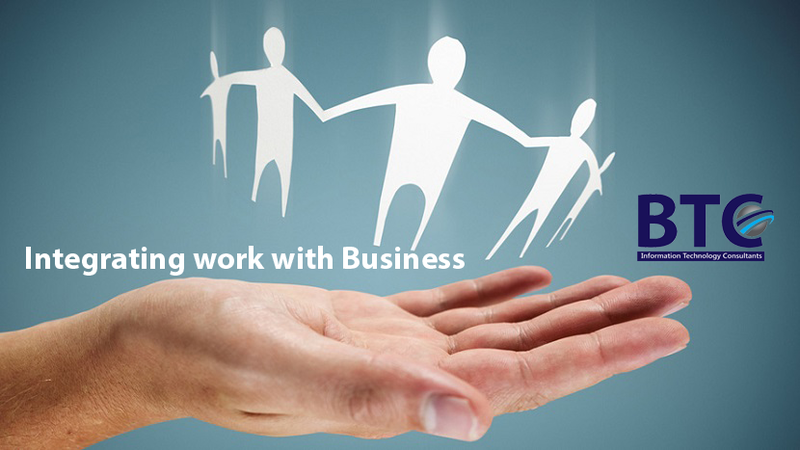 It helps you to be in connection with the employees and monitor the performance more efficiently. This whole system is designed in such a way that there will be a constant and permanent connection in between the employees and management and if you are doing so, your business operations, financial transactions and task management can be performed from anywhere. Need help choosing the best solution for your business? Use our HR software product selection tool to get a personalized recommendation based on your industry, company size, and the features you value most. For more contact our experts.